The High-Altitude Army National Guard Aviation Training Site (HAATS) is providing unparalleled aviation training to pilots around the world. 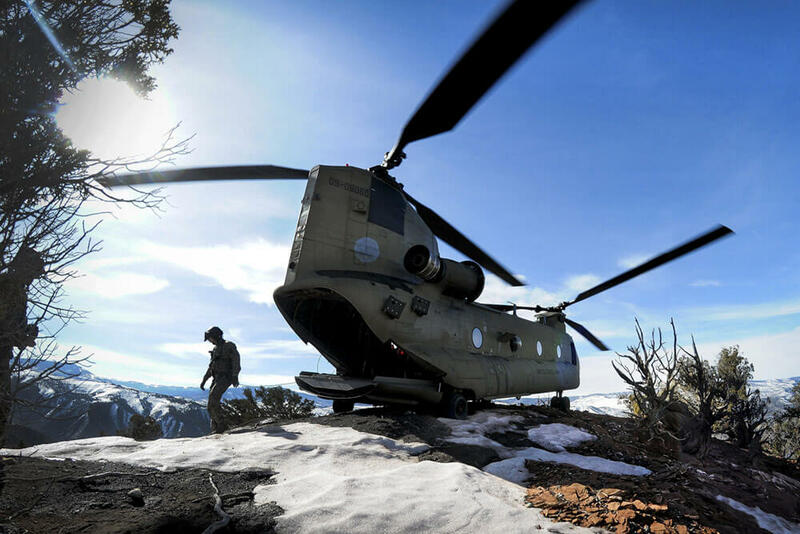 Located in Gypsum, Colorado, and operated by the Colorado Army National Guard, HAATS is the only Department of Defense schoolhouse geared specifically towards teaching high-altitude, power-management, environmental training to military rotary-wing pilots. HAATS, which celebrated its 30th anniversary last year, trains more than 380 pilots a year. The site is renowned not only in U.S. military aviation, but also in the military aviation of allied forces. HAATs has hosted and trained helicopter pilots from all over the world, including pilots from Denmark, Germany, the Netherlands, Norway, the Republic of Georgia and Slovenia. The training site began in 1985 and was then known as the Colorado High-Altitude Site (CHATS). 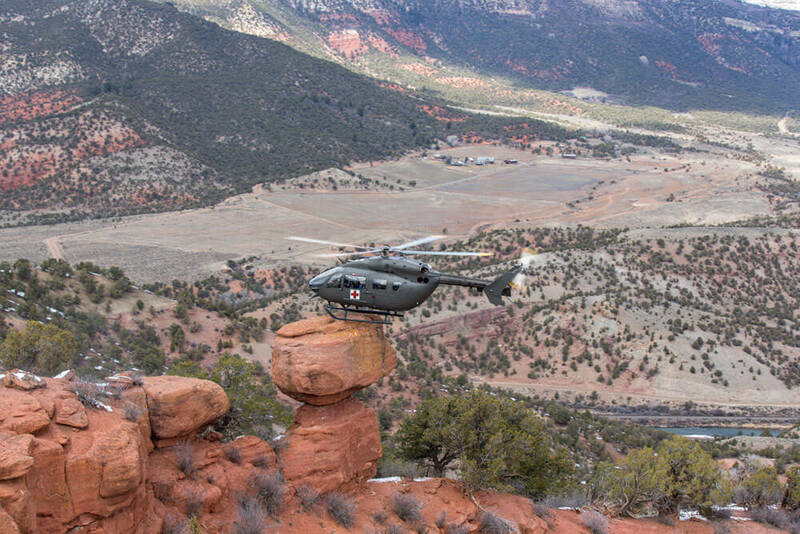 The flight course was initially created solely as a Colorado Army National Guard training facility. The program gained popularity after National Guard units in North Dakota and West Virginia requested to train at the site in preparation for upcoming deployments to Honduras and other nations with terrain similar to the mountainous high-altitude regions of Colorado. HAATS utilizes a training area of over one million acres. The Colorado landscape included in that training area offers a variety of natural landing areas such as bowls, pinnacles, ridgelines and confined areas. The region’s predictable wind patterns make it an ideal learning environment for experienced pilots with varying levels of expertise. Pilots training at HAATS experience flight altitudes ranging from 6,500 feet to 14,000 feet. The typical cruising altitude for a helicopter is between 2,000 and 5,000 feet. In 1991, CHATS became a federal training site, and in 1995 was renamed HAATS. Funded by the National Guard Bureau, HAATS falls under the command of Adjutant General of Colorado, Maj Gen Michael A. Loh. In 2010, HAATS became an official joint school with the addition of a full-time Coast Guard instructor pilot. 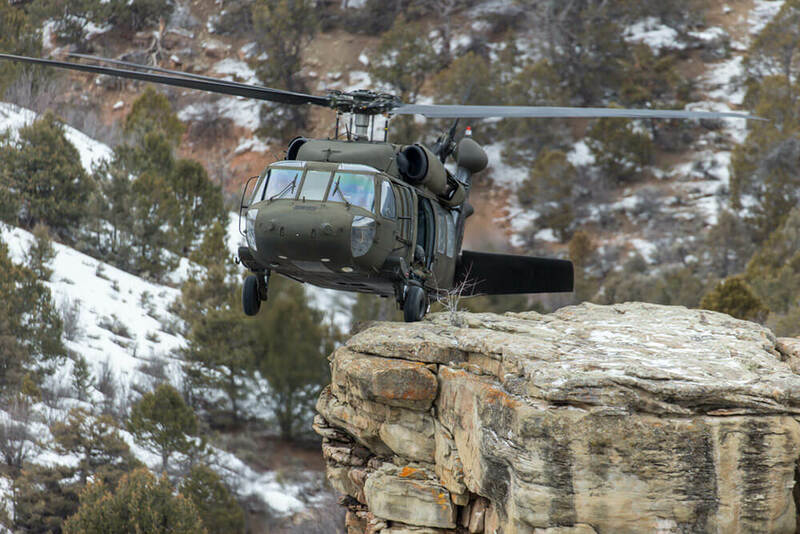 In addition to training Army National Guard pilots, it is not uncommon for HAATS instructors to be called to duty for search and rescue missions in Colorado’s mountainous national parks. Rescue efforts are coordinated through the Air Force Rescue Coordination Center (AFRCC), and HAATS is the second busiest AFRCC location in the United States. The HAATS training course is designed to train pilots from all branches of the military. The facility can accommodate training classes of about 25 pilots per week. The site employs OH-58 Kiowas, CH-47 Chinooks, UH-60 Black Hawks and LUH-72 Lakotas. Soldiers, Airmen and Coast Guardsmen also have the option of bringing their own aircraft. HAATS uses a unique training methodology that is based on aircraft power and designed to dramatically increase individual and crew situational awareness. Pilots spend one day of the week-long course in a classroom learning the foundational concepts of power management in high altitude, mountainous environments. The power management methodology requires pilots to account for their chopper’s power in all flight regimes, thus giving pilots greater insights into how to respond to situations that arise while flying. While other mountain training methodologies focus on the environment, HAATS training focuses on what the aircraft can do, then factors in the changing environment into each scenario. Shifting the focus off of the environment and onto the aircraft teaches pilots to execute maneuvers using the appropriate amount of power. After the in-class session, pilots spend the remainder of the course flying in and out of Colorado’s Rocky Mountains. Upon completion of the course, pilots leave with an in-depth understanding of power management and the skills needed to operate their aircraft on an advanced level. According to LTC Somogyi, the site’s results have proven that no other place in the United States can replicate the superior-level training offered at HAATS in as short a period of time. Texas Army National Guard SSG Anthony Delagarza, a Master Fitness Trainer Course instructor, demonstrates a correct push-up on the parade field at Camp Mabry in Austin, Texas. Did you know you have the opportunity to make a difference in your unit’s morale and readiness by becoming a Master Fitness Trainer? Do You Have What it Takes to Don the Green Beret?